So many things we think we understand! I, for example, have long told myself that the separation of the mind and the body—a notion basic to modern thought—is a lie. True knowledge springs from a marriage of mind and body. So I have thought, so I have written. But dancing with Karen Brown, an old friend and colleague, on the occasion of her retirement party in the spring of 2009 was teaching me that I had a way to go in understanding. She really knew. She danced like an angel now at her party, to the drumming of Frisner Augustin, whom she had specifically requested for the affair. “This is it,” she insisted. “This is what it’s really all about.” I felt the presence of a consciousness deeper than those of us at the party—who were not facing a fatal illness—could possibly know. In the liminal space between life and death, on the road to Ginen, Karen would go out dancing. 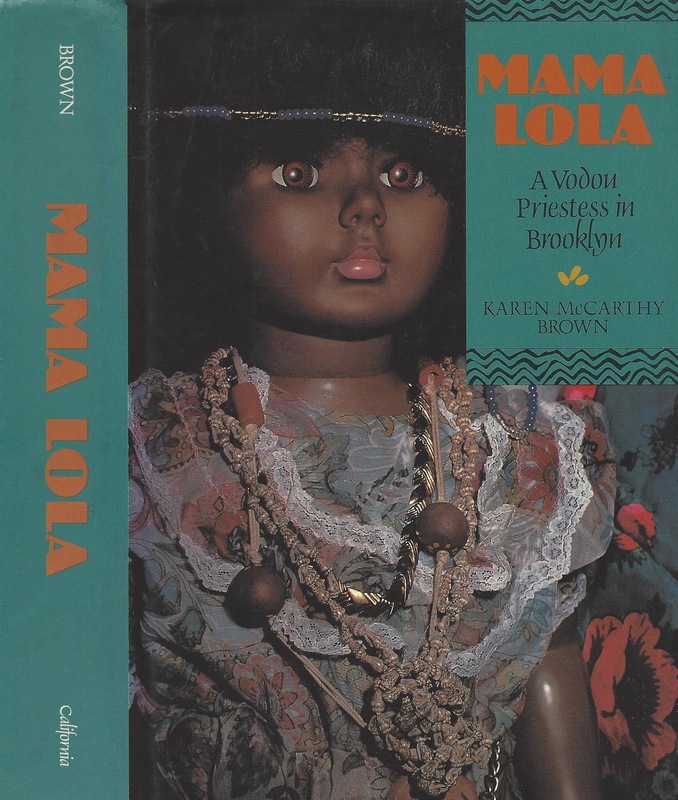 Karen McCarthy Brown engaged Frisner to play in celebration of two important landmarks in her life: the debut publication of her Mama Lola, A Vodou Priestess in Brooklyn, and her retirement from Drew University, where she had taught for thirty-three years. The debut publication took place in 1991. (New editions appeared in 2001 and 2011.) The book marked the end of a dozen years of research and writing. Karen made her first research trip to Haiti in 1973 but met Mama Lola (Marie Thérèse Alourdes Macena Champagne Lovinsky) while surveying Brooklyn’s Haitian community in 1978. The book won awards, including Best First Book in the History of Religion (American Academy of Religion) and the Victor Turner Prize (American Anthropological Association). 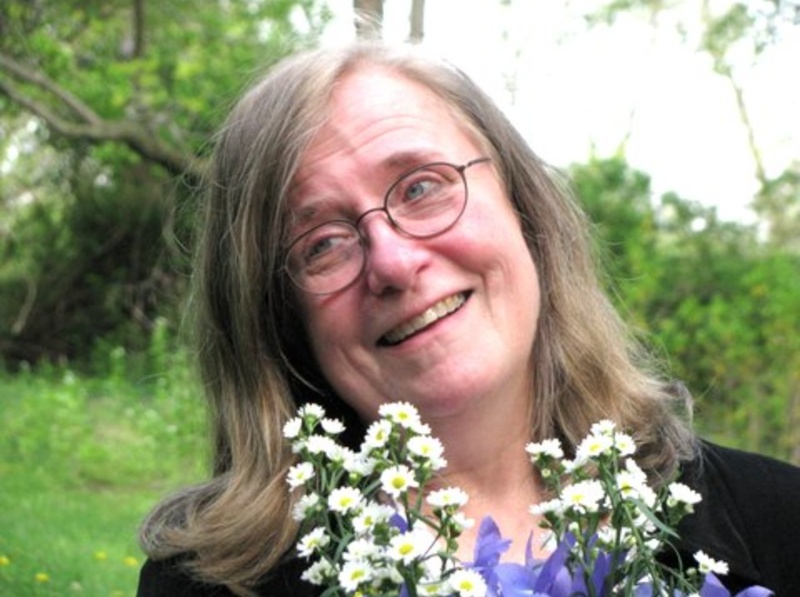 You can read more about the life and legacy of Karen McCarthy Brown on her memorial page. The video below captures about two minutes of the book party and four minutes of the retirement party. Watch Frisner as he crafts woule (drum rolls) to the contours of Mama Lola’s melody. Watch as he and Mama Lola guide the ebb and flow of the retirement party. Listen to Mama Lola’s warrior spirit Ogou in his heart-to-heart with Karen—in English, “You think too much…shake your body!” Watch Frisner get everyone on their feet with the drums, and note Mama Lola’s pleasure as she watches Karen dance. Frisner passed in February 2012, and Karen in March 2015. Can’t you see them drumming and dancing in Ginen? We found the Video 8 recording of the book party mostly damaged. Thankfully, the first three minutes, two of which you see here, survived. Documents are ephemeral, which makes the work of digitization all the more pressing. Please help Makandal finish digitizing its video recordings for the Frisner Augustin Memorial Archive. Go here to make a tax-deductible contribution, and know that you’ve made a great gift to the culture, and to the future. Mèsi! Thank you! Full front cover of Mama Lola, A Vodou Priestess in Brooklyn, published by University of California Press, 1991. Jacket illustration: the doll that represents the Vodou spirit Èzili Dantò on Mama Lola’s altar, Fort Greene, Brooklyn, 1982. Jacket design by Janet Wood. Photo by Robert Machover: Karen McCarthy Brown at her retirement party in Milford, New Jersey, May 2, 2009. Video: (1) Mama Lola sings and Frisner Augustin drums at Karen McCarthy Brown’s book party, Manhattan, April 20, 1991, recorded by Lois Wilcken; and (2) Frisner Augustin and Makandal drummers play for Karen McCarthy Brown’s retirement party in Milford, New Jersey, May 2, 2009, recorded by Robert Machover. Video edited by Lois Wilcken. This entry was posted in Tales from the Archive, Vodou and tagged Archive, Drumming, Drums, Frisner Augustin, Haiti, Haitian, Haitian Music, Karen McCarthy Brown, Mama Lola, Music, Vodou. Bookmark the permalink. Could you provide a jpg of Mama Lola Lovinski for my book, Caribbean Women’s Art, along with permission to publish? Hi Mary Ellen. Unfortunately, Makandal, owner of this site, is not owner of photos of Mama Lola. We have no authority to give permission to use her photos. Makandal played for the retirement party of Mama Lola’s biographer, the late Karen McCarthy Brown, and Karen’s husband shared the video with us. Lola’s daughter is Maggie Sanchez, and her granddaughter is Marsha Champagne. If you can trace either of them, they would probably be able to help.